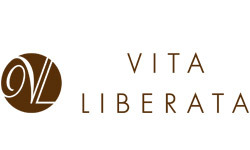 Shop Vita Liberata for luxury self-tanning products. Offering the widest range of at-home and professional tanning solutions, Vita Liberata has a product to suit every skin type and tone, guaranteeing the ultimate tanning experience every time, that fades perfectly back to nothing without you even noticing. From their Irish base they created the world's first odorless tan in 2007 and the unique Odor Remove™ technology is now present throughout the collection. In 2011, the brand became the first completely non-toxic tanning brand free from parabens, perfume, alcohol and all chemicals of concern. Natural and certified organic approved extracts are key to Vita Liberata's formulas. Offering a conditioning skincare treatment that also tans the skin is the goal, giving you a flawless skin finish that combines natural looking color, velvet soft skin and long lasting hydration. This stuff is excellent! I use the lightest shade and it gives me a light creme color with a hint of shimmer. It does not transfer to clothes, blurs imperfections, and lasts till you wash it off. I can’t live without it! Living in Florida, I am able to achieve a glowing, natural tan with this Vita Liberata Tan Mousse. I can stay out of the sun, and look like I’ve been on the beach all day. Rich emollients are a huge plus. I have used this line of self tanners for several years, providing a healthy alternative to sun tanning. It works nicely, and you don’t have to worry about your hands getting discolored.